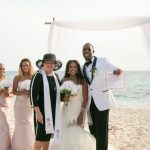 As soon as I met this couple from New York, and their 5 year old daughter, I knew this simple Cayman beach wedding would be extra special. I was glad I had booked Dubadah Boldeau as their photographer, because they got many beautiful pictures. 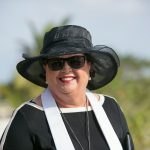 At first I thought I had made a mistake with the choice of wedding location because it was packed with swimmers and sun-bathers on this very hot Saturday afternoon. We had to go far out on the rocks to get some privacy. 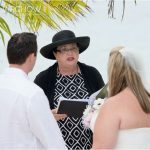 Call Simply Weddings for your own Cayman Islands beach wedding. 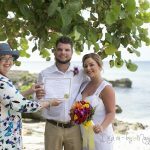 When you come by cruise-ship or as a stayover visitor we get all the details right for your unforgettable Cayman wedding +1 (345) 9499933.